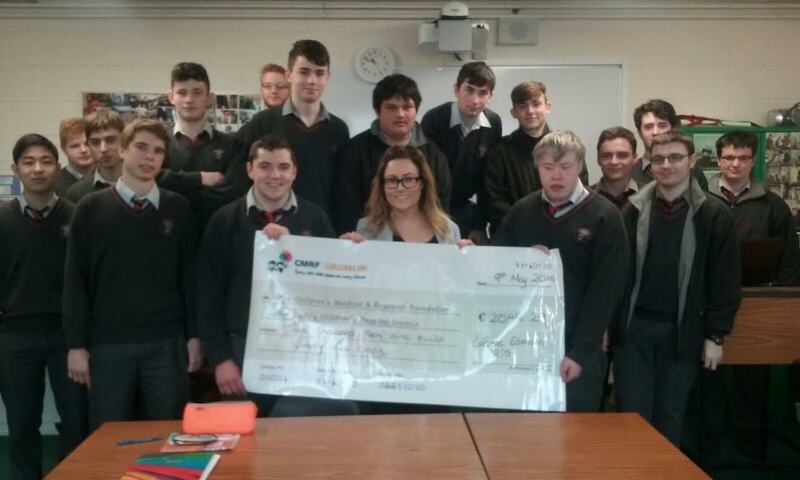 €2050 Raised for Our Ladies Children Hospital Crumlin | Coláiste Éamann Rís, Callan, Co. Kilkenny. Pictured below are Ms.Hickeys 5th year LCVP class who organised a 5km fun run in aid of Our Ladies Children Hospital Crumlin and raised €2050. Well done to all the class who contributed to an excellent cause. This entry was posted in School Promotion and tagged LCVP. Bookmark the permalink.